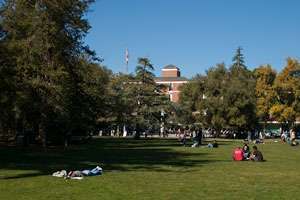 UC Davis is a world-class university situated in the relaxed community of Davis, California. The university offers numerous opportunities to connect with clubs on campus, pursue athletics, learn new crafts, go on outdoor adventures and much more. Learn more about what UC Davis has to offer! Davis, California, is an active, progressive community noted for its residents’ quality of life and commitment to sustainability. Located about 70 miles northeast of San Francisco and 15 miles west of Sacramento, Davis has a friendly, small-town atmosphere alongside big-city amenities. Find out more about living, working, arts, services and entertainment in Davis. The UC Davis Forensic Science Graduate Program welcomes students from across the country and all over the world, with a rich variety of cultures, backgrounds and interests. Founded on the principle that diversity improves education and the community, our on-campus Cross Cultural Center is a nexus of cultural competency, community building, and identity exploration. Understanding and appreciating diversity is fundamental to success in an increasingly complex world. To best prepare today’s students for their lives after graduation, UC Davis fosters a diverse community where cultural and intellectual heritage is celebrated. Admissions to the Forensic Science Graduate Program, listed by home address.